Tangerine CIO Charaka Kithulegoda remembers his bank’s first foray into biometric authentication for online users way back in 1999 – a special type of mouse that would scan your fingerprint in order to give you better-than-password level security. Unveiled at the big Comdex show in Las Vegas, and billed as a state-of-the-art solution that would reduce fraud. But the mouse was too difficult to use, requiring a complicated setup with adjustments to port settings on a PC that you wouldn’t normally tinker with. Ultimately, the bank (ING Direct at the time) discontinued sales of the mouse and shut down the biometric authentication system. ING Direct made this fingerprint-scanning mouse available to its customers in 2000. Tangerine is again offering biometric authentication to its online users – this time in the form of voice recognition on its mobile app. Plus the app will be outfitted with a voice assistant that can complete tasks such as checking your balance, paying a bill, or sending an email money transfer simply by asking for it in natural language. It’s the first bank in Canada to offer voice assistant functions in its mobile app. Kithulegoda says it is ready for prime time. To offer the voice biometrics and personal assistant feature, Tangerine worked with Nuance, the same company that provides Samsung Corp. the technology behind its S-Voice personal assistant. The firm specializes in natural language processing and can provide its customers with an SDK called Nina that is akin to Siri for the enterprise. “Our experience is that other organizations are deploying this internationally and that the voice experience is definitely used,” says Brett Beranek, senior principal solutions marketing manager of enterprise for Nuance. While Tangerine may be the first to offer an in-app voice assistant in Canada, companies that have done it elsewhere see better engagement with customers, he says. For example Dominos Pizza allows app users in the U.S. to order a pizza using their voice, and users rate it 33 per cent higher when compared to the normal touch-interface app. “You’ll have more loyal customers that will talk to their friends about this,” he says. Nuance authenticates Tangerine users by having them read the same diagnostic phrase three times, as instructed by the app. Using both physical – the timbre and resonance of a voice – and behavioural – a person’s accent – the technology can create a sort of vocal signature that is so accurate that it can tell the difference between identical twins. Tangerine customers will also have their privacy protected, Beranek says. While Nuance’s servers are doing the language processing on the back end, those servers are only passed the vocal commands of the app users and not the identity of those users. So while Nuance’s servers might record what you ask the app to do, it doesn’t know your name or your account number. Tangerine’s voice assistant update is coming to iOS first in late October or early November. An Android version of the app will follow shortly, says Kithulegoda, but there’s no plans to develop the feature on BlackBerry or Windows Phone as of yet. The voice biometric authentication is coming with a later update as well and iOS users can expect to see that feature first as well. But that won’t be the only biometric authentication added to the app. Tangerine will also be making use of the Touch ID capability on iPhone 5s and more recent models. It will allow users to scan their fingerprints as an added layer of security to access their accounts. 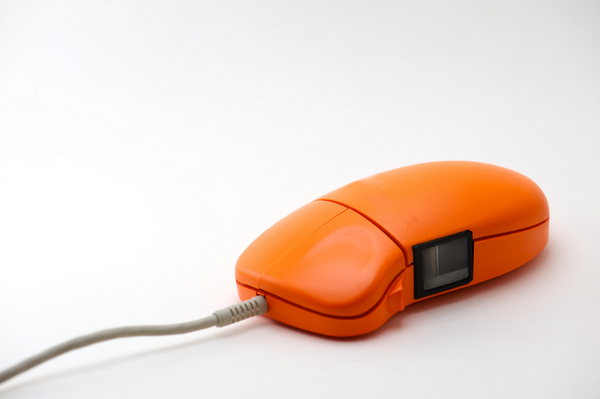 And this time, Tangerine won’t have to send you an orange mouse to scan your fingerprints.